HI! Welcome to my webcomic series, Adventures with Capt'n Heroic, here on Steemit. This is a story of two oddly matched heroes that have a mission to save the world from evil. 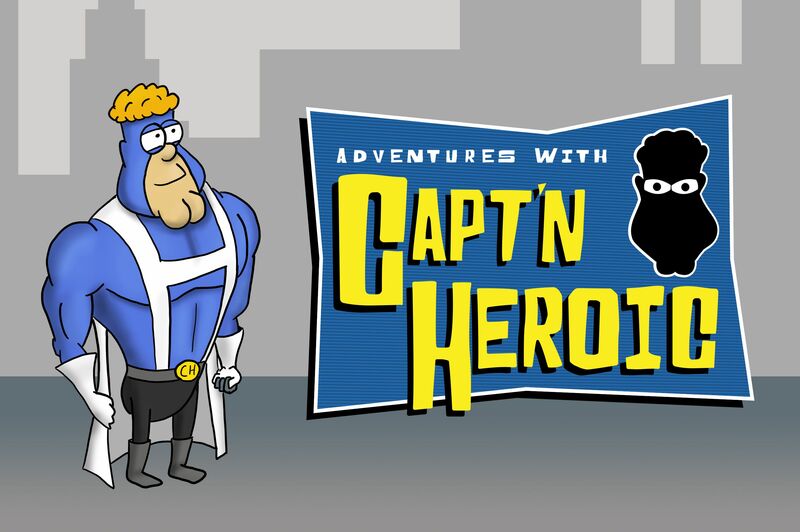 Capt'n Heroic is a man child superhero who has powers similar to Superman. The only thing he is missing is the maturity to use them to their fullest potential. He is a child at heart, and he has no clue what he is doing. The Silent Knight is a more serious superhero, originally more like batman. He is the brains behind the operation and is constantly getting annoyed with his childish partner. They are a very unlikely team, but somehow, they always seem to get the job done. "In the Begging" is the first chapter. This is the origin story of Capt'n Heroic. There are 83 pages in this chapter. I am finished with the art and am currently posting it page by page here on steemit. I have 45 pages posted so far to my other sites that you can find at CaptnHeroic.com, but I am going to post them here at a rate of 5 pages a week (1 page Mon-Fri), After I am caught up I will switch to my normal schedule which is 1 page every Monday. The second chapter: "BuddyBrothel.com", is currently in the works. The script is written and I am in the editing phase. I hope to start story boarding it this month, and then start on the final art starting in February. That is cool! You are very talented. It will be a pleasure to follow you! This is great will be following.